Tis the season to shop till you drop. With the holidays approaching, and nearing our hearts and wallets it is time to start drafting a gift shopping strategy and get down to business. Start by knocking off the easy people on your list. The aunt that asks for her annual cat calender. Check! Your friend that likes anything pink. Check! But what about your friends and family members who aren’t that easy to shop for? What would be a “safe” gift to get that co-worker you have spoken less than 5 words to and picked for the office secret santa? What about your teenage daughter that is all grown up and you can no longer buy Judy Blume books for? What’s an appropriate yet impressive gift to get your new boss? Here are some “safe” gift ideas to help you shop this holiday season that won’t break your wallet! A gift that is sure to please and will stay under your secret santa budget is a Borelli scarf. Everyone could use a scarf during the winter season and this one can be worn several ways. And it doesn’t stop there! This scarf will keep you warm, fresh and dry with its temperature controlled, freshguard odor control and water resistant cotton. All your co-workers will be wishing you were their secret santa this holiday! Show your daughter you are tuned in to what’s “in” and how much you care by getting her a Heather Belle “Do What You Love” cuff. 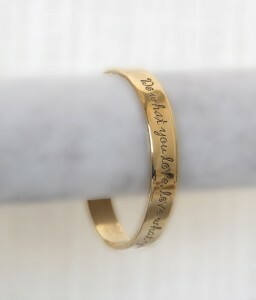 The style is chic but also carries a very special message to pass on to your daughter that says “Do what you love, love what you do”. 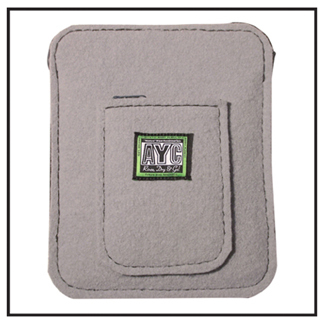 Give your boss something that is business appropriate and that he/she can use at work like Austin Yarn Company’s eReader case. This cool case is an unisex item and is even good for the environment. It’s made from 100% organic sustainable wool! Give them this gift and show you have taste, a professional attitude and an eco-conscious mind.